Founded in September 2005, the brand SoundMAGIC has made its mark in the world of audio with affordable and entry-level offerings that have captured mass-market attention. Most notably, the SoundMAGIC E-series has been heralded by many online magazines and critics alike as a value-for-money oriented set of ‘phones designed to be used for just about any occasion. With the new arrival of the SoundMAGIC E50S, the company hopes to achieve the same levels of market share as their predecessors and win over the same entry-level target market that has found them success for a variety of their in-ear models. SoundMAGIC’s continual strive to perfection through the output of revised models have earned them a collection of awards and shows that the company cares about their end-user by the willingness to reinvest time and money to achieve a certain quality of results. The SoundMAGIC E50S resides in a standard box which is nothing too fancy as is to be expected of an earphone of its price. Along with this, the company has chosen to opt for a pair of Comply foam tips which has been a trend that many audio companies seem to be adopting because of Comply’s superior sound and comfort characteristics. 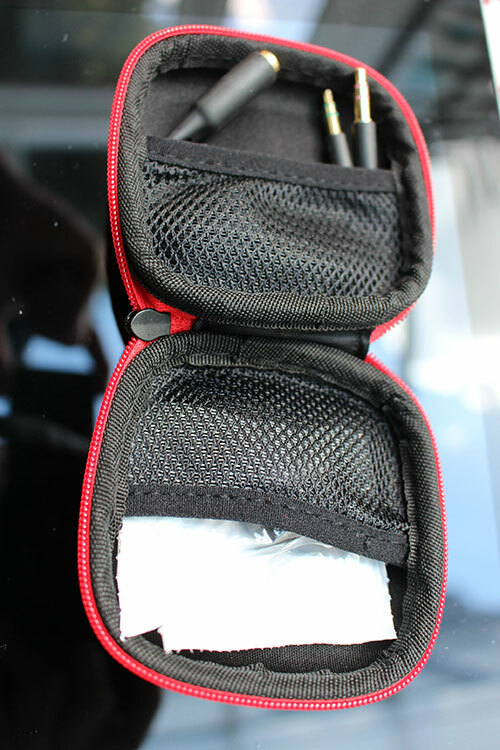 Also included are 3 pairs of dome-shaped silicon ear tips, 3 pairs of flat silicon ear tips, a pair of double flange tips, a cable clip and a hard carrying case. SoundMAGIC has really strived with this model to offer superior levels of build quality and on that extent, they have certainly succeeded. Unlike its predecessors, the new E50S sports a classy gun-metal grey finishing which exudes quality and is a welcomed change to the less refined models before it. Even the angled-jack fulfills SoundMAGIC’s quality-oriented line of thinking with a strong and sturdy 60-degree jack. Perhaps the cabling is an area which could be improved upon as it is quite odd to the touch and prone to tangling. Nevertheless, a commendable effort goes to SoundMAGIC for choosing to incorporate a superior high-quality copper wire imported straight from Japan. With the standard comply foam tips and average-sized barrel housings, the SoundMAGIC’s do what they feel necessary to achieve a solid comfortable fit. The in-line remote, however, is placed at a slightly impractical level which might take a bit of adjusting to for a quick change of song. It is also a shame that there is no over-the-ear option which would be good to improve stability and reduce microphonics when walking, running or performing any labor-intensive activity. In terms of isolation, I was pleasantly surprised as when these earphones are secured in, a large proportion of the background noise is removed and even more so when music is playing at a moderate level. This makes these great for commuters but for long haul flights, active noise canceling may perhaps be the best route to go. Bass is well controlled and extends fairly deep which is again appreciable in a model aimed at the mass-market. Impact and depth are also decent and present less distortion compared to the previously popular E10 model. Owing to the flat frequency response, however, the intention of this set is not to yield a bass-heavy sound as this portion of the spectrum serves to be quite neutral with no bias to any particular frequency range. For that reason, the E50S stays quite true to the original audio production and does not color tracks in any way, shape of form. Again, the sound here is quite neutral and faithful to the original audio recording. Whilst detail retrieval is not outstanding, it does perform moderately well for its price point. SoundMAGIC have attempted to tune the new driver for more of a midrange response and it certainly shows with less of a midbass bleed into the lower midrange compared to the E10 model. In terms of sound signature, the midrange is pleasant and easy-going with a slight edge to vocals. With particular tracks, this leading edge does come across as sibilant which is an area SoundMAGIC could work upon in their next revision. The treble region of the SoundMAGIC E50S is crisp and clear with a well-defined extension. That is not to say that it matches the extension of balanced-armature sets such as the Rock-it Sounds R50 or DBA-02 because the E50S is relatively subdued in comparison to the latter IEMs. What it does manage to achieve though, is an airy treble presence with good clarity and descent that makes it competent across many genres. The E50S’ have an airy and spacious presentation for its price point with good separation between instruments and vocals. Sound dimensions are quite a bit enclosed despite the overall airiness between the different sound dynamics. This may be down to the design of the driver more than anything and is again something which SoundMAGIC could endeavor to improve upon. Overall, SoundMAGIC has released yet another solid product in their solid E-series line-up. The E50S plays well in the all-rounder territory and is consequently compatible with many genres. 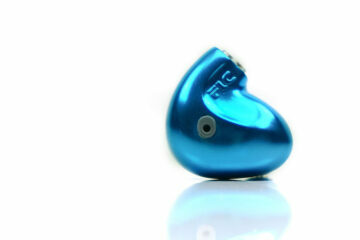 With a sleek low-profile design and good build quality, it further excels as an earphone to be used for any occasion. 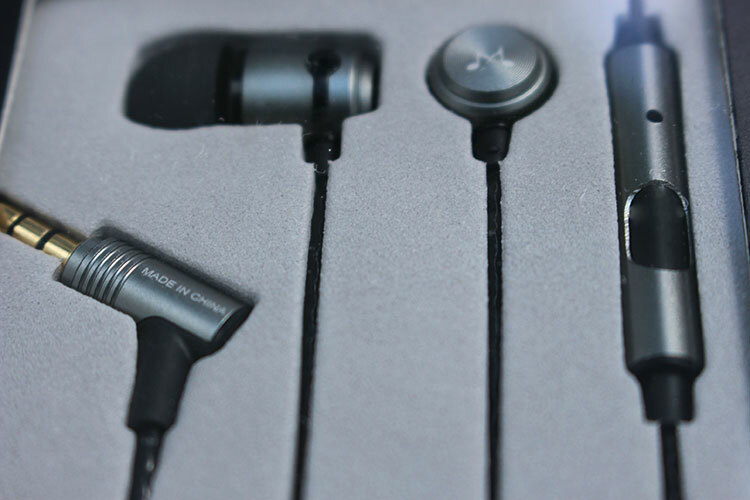 Coupled to this, naturalness and neutrality are attributes which these IEMs have strongly going for them and allow users to make the most out of modern music tastes. With that said, there are a couple of nitpicks that SoundMAGIC could address in future revisions to improve their ever-popular E-series and establish an even larger share of the audiophile industry. 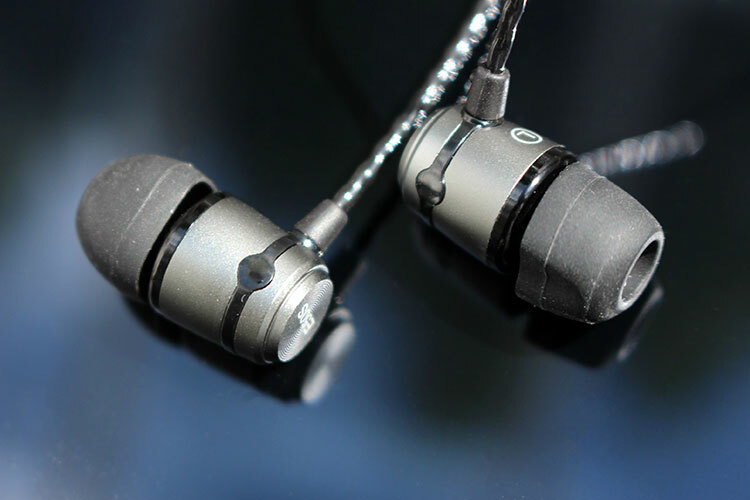 For now, though, the modest improvements from its little brother, the E10, have manifested in a stylish, easy-to-drive and natural IEM that many people would not be disappointed with. I think this is the best review that gets it right. I’ve read many reviews about the e50s and somehow it does not fit to the description from what I heard from the e50s. Even reviews about the e80s from some top review audio site seems a bit off. I’ve tried the E10, e50s, and the e80s. I have the sound magic E50 S and aim very happy with it beside that I could get them for Ł40 only (In Indonesia)in that price category it is one of the best . It still stands the test of time with budget audiophiles. Is this better than the E10s? Is it worth the extra price? Very interested in these as others have stated they fit into smaller ear canals.